COSM is proudly co-hosting a movie-night with the Students' Association of Management and Marketing (SAMM) at the University of Melbourne. SAMM will be screening the Smartest Guys in the Room. 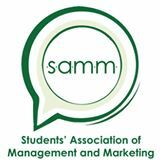 Check out SAMM's Facebook event page here and register to attend.